These HardTail frames are developed for the 2004 to present rubber mount Evolution Sportster engine. Like all Kraft/Tech frames, they are made from seamless thick-wall tubing. Features 1 1/4" tubing with a 1 1/2" diameter backbone. Takes Softail-style winged oil tank (ZPN 751464). Available with 30 degrees rake for use with 130 wide rear tire in conjunction with a 1 1/8" belt, 30 degrees rake and 2" stretch in the down tubes for use with a 180 wide rear tire and 1 1/8" wide belt or 34 degrees rake and 2" or 3" stretch in the down tubes for use with a 180 wide rear tire and 1 1/8" wide belt. Wide frames will accept a 200 wide rear tire when final drive is converted to chain drive. 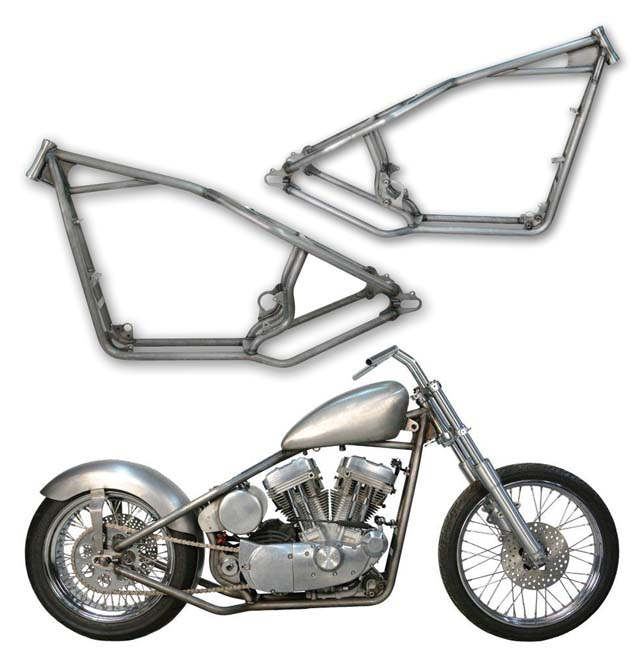 All frames feature TIG/MIG welds, solid steel CNC machined neck and CNC machined billet steel axle carriers. Oil tank brackets, fender mounts and voltage regulator mount are welded in the correct place. Frames come complete with 3/4" rear wheel axle and are designed to use a 1/2" offset transmission sprocket for proper balance. Frames for 2004 to present Sportster engines have TÜV approval in progress. The Kraft/Tech frames for 1986 thru 2003 Sportster engines are already TÜV approved for use with up-to 150 HP engines. Kraft/Tech frames are exclusively distributed in Europe by Zodiac and available at all Zodiac dealers. Sarasota, FL – Roaring Toys recently added a billet ignition switch cover to their Pin Stripe Series of billet parts and accessories. 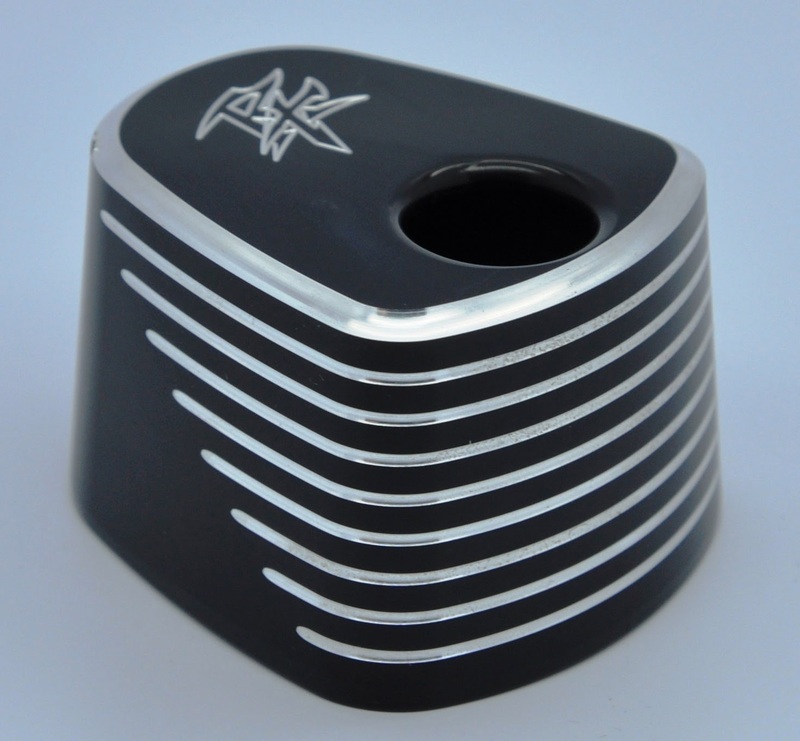 Show them you mean business when your dress up your bagger with Roaring Toyz’s custom Billet Pin Stripe Series Ignition Switch Cover. 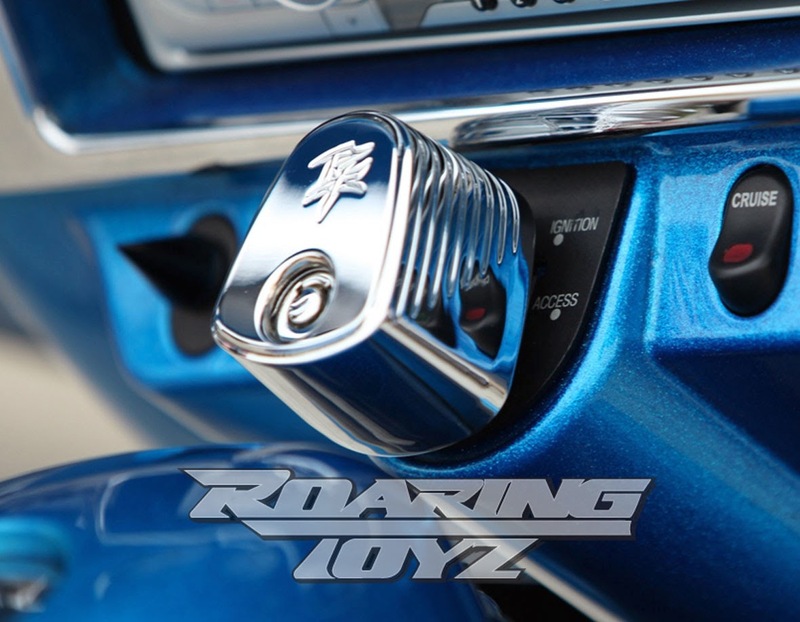 Roaring Toyz PIN STRIPE Series of Billet Parts and Accessories…Designed for those serious about their riding. Watch for other new and exciting products soon to released from Roaring Toyz including a line of “plastics” to dress your bagger up. For those interested in obtaining more information on Roaring Toyz, you can reach them at 941-953-4423, email them at robert@roaringtoyz.com or check them out online at www.roaringtoyz.com.